When I was growing up, we had a tradition where we would make Christmas gift tags after Thanksgiving dinner. It was always something that I looked forward to doing. As all of the cousins started to grow up, that tradition kind of just stopped. I miss making Christmas gift tags! I try to make a few every year because I still really enjoy making them. 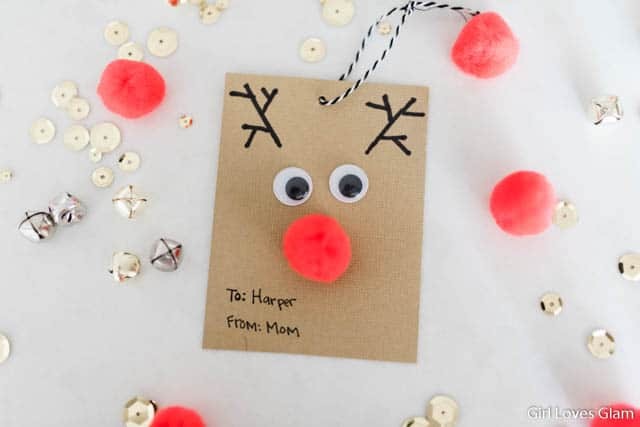 This year, I came up with this fun little reindeer Christmas gift tag and it was love at first sight! 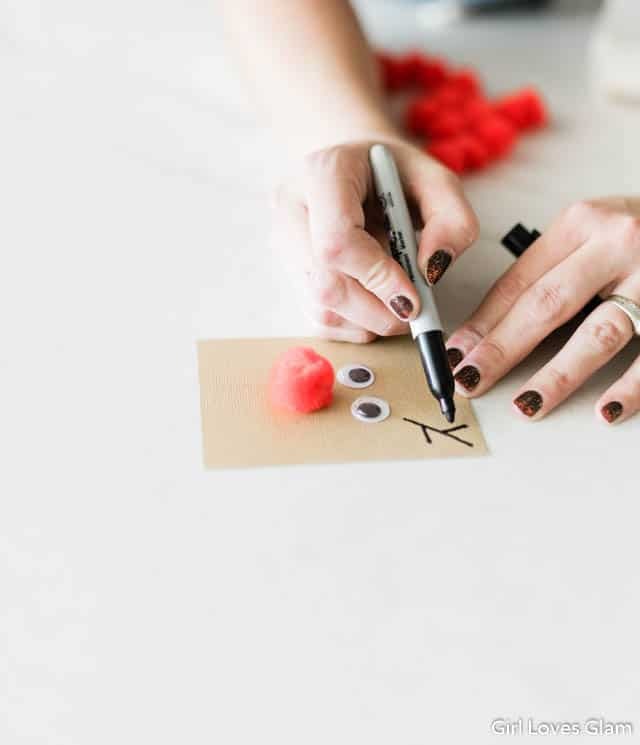 First, cut your brown paper into the size that you want your gift tags to be. 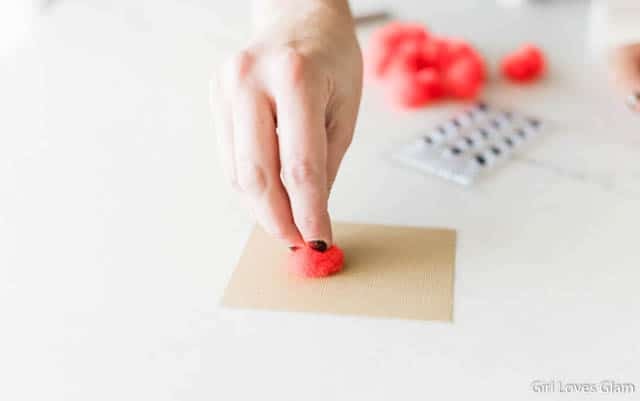 Glue the red pom pom to the center of the paper. 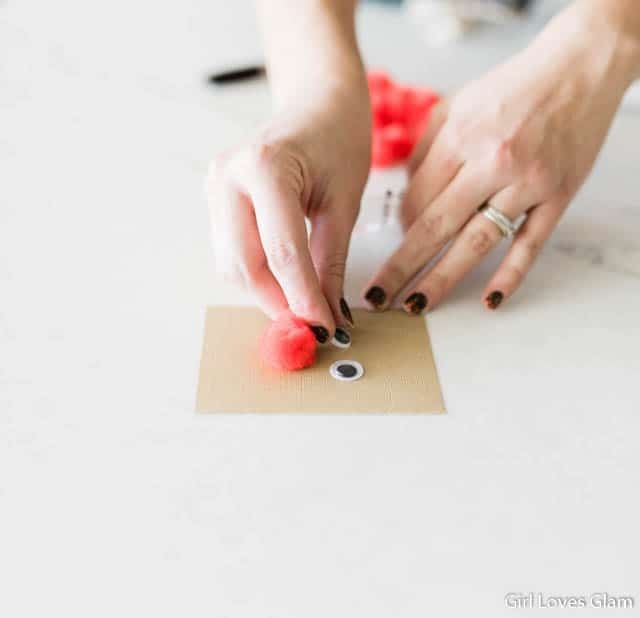 Next, stick the googly eyes onto the paper, just above the red pom pom. After that, take your black marker and draw the antlers. Just draw a straight line coming at an angle from the eye. Then draw other straight lines coming out of that line. You want to keep them pretty simple. Repeat this step on the other side of the card. You can finish off at this step, if you want. 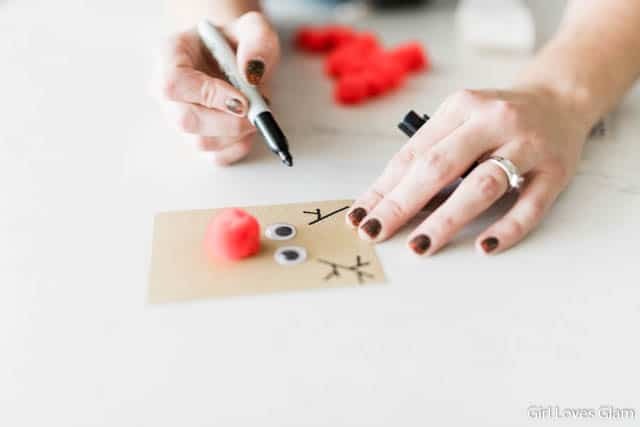 This would actually make a darling Christmas kid’s craft, too! 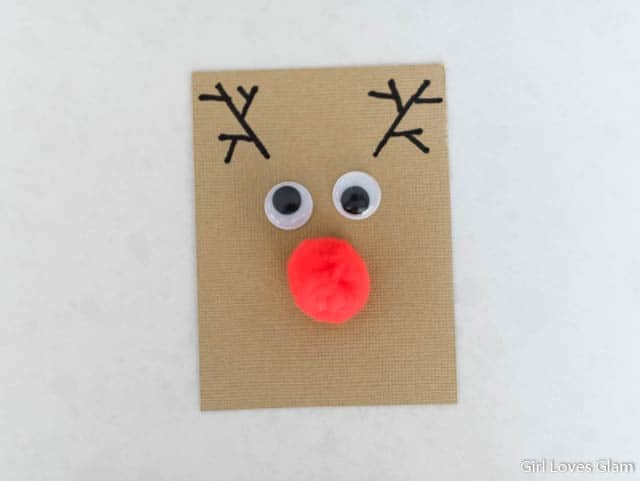 You could even do this with a full piece of brown construction paper in a Christmas class party. It would go really well with this snowman puff paint craft! To continue turning this into a gift tag, add a To and From spot at the bottom. You can also tie a string around the top, if you aren’t planning on taping the gift tag to a present. Now your Christmas gift tag is complete! Pretty easy, right? 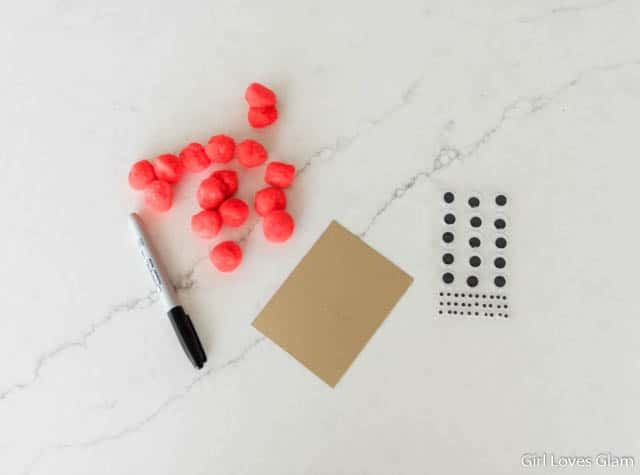 These would be really fun to make with these ornament Christmas gift tags or these present Christmas gift tags! 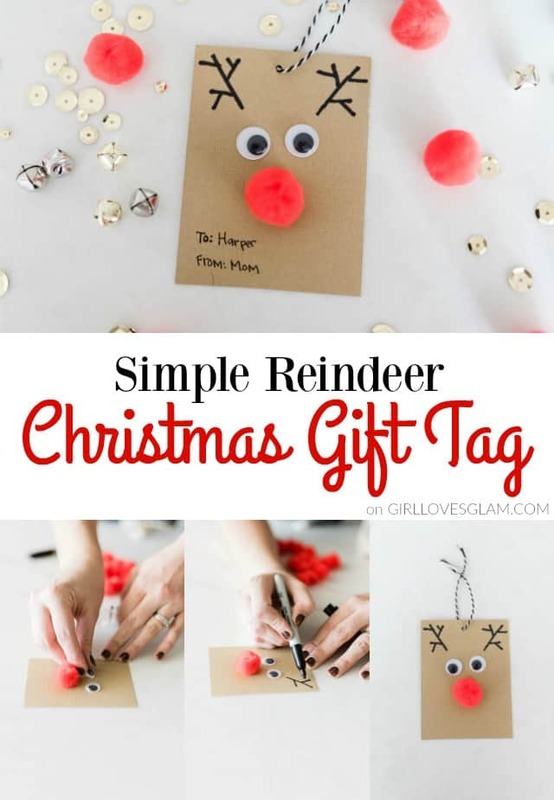 Do you like to make your own Christmas gift tags?